Most of us have no concept around what it means to invest in ourselves. You may have invested in your career or maybe in a house but have you truly invested in yourself? I venture to say that most people SPEND on themselves but not INVEST. What does SPENDING on yourself mean? Let’s start with the basics. If you spend money, time or effort on something you are going to get a short term gain. For example, you buy an ice cream cone for yourself. You enjoy it, you delight in it, you are satisfied. The sweetness of the ice-cream hits just the right spot. But then, the next day you already forgot about it. All that remains is the fact that you have to loosen your belt a notch. There is no long term happiness or satisfaction that arises from eating that ice-cream. The same goes for buying a new dress or another pair of shoes who have been dreaming about. As soon as you made that purchase, and the initial oxytocin has worn off, your happiness is gone too. Then you need to buy more, spend more. You may even be spending money on something healthy say going to a yoga class or getting a massage. You enjoy it and you feel stellar for a couple of days but the next week you are back to square one. Treating and nurturing yourself is not part of your regular routine and this once in a while approach is like a drop of water on a hot stone. Spending on yourself happens when you don’t have clearly defined goals in mind and you end up getting short term results. Spending gives us a short term bout of happiness but there is no lasting impact on your happiness & joy in life. 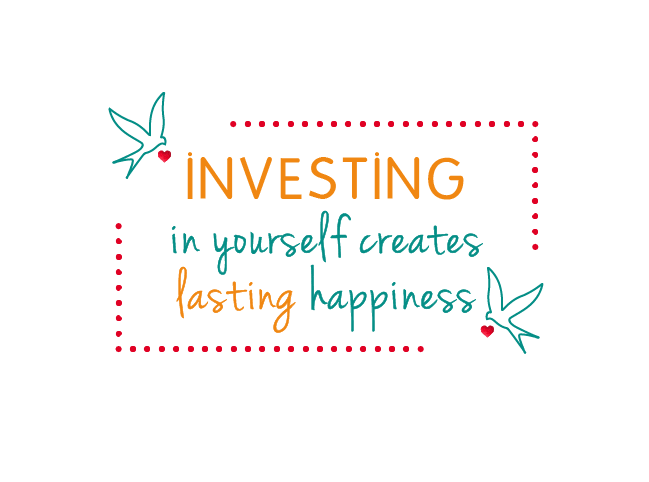 What does INVESTING in yourself mean? Investing in yourself is quite different. When you invest in yourself you get a long term result. The purchase you make shifts something within yourself that changes the way you do something on a daily basis, it changes your perception and the way you see the world. I had no idea what investing in myself meant for the longest time. I remember when I was 28, I had this radical idea I should go to a two-months, full time yoga teacher training in LA. The investment was $3,000. That was HUGE for me at the time considering I was earning $12/hour. I also had a full time job as an executive assistant which I either had to quit or take time out. I wasn’t sure if the later was possible. It was scary as heck. I should also say that that was way before I started a career as a yoga teacher, wellness coach, Ayurvedic practitioner or bodyworker. I was working in business and it was purely an investment in me and myself. How decadent I thought. In hindsight, going to this yoga training was one of the best investments I have ever made in my life. It brought a whole ball rolling about getting to know myself, shedding old belief systems, dropping guilt and many other things too many to mention. It sent me off on a road to a better body, more happiness and more joy. That was not spending on myself, it was INVESTING. How have you invested in yourself lately? How are you choosing to allocate your money and time so you have a happier, more successful, more centered and peaceful life? There are so many things we can invest in. Our career, health, financial education, relationships, communication…on and on. And for each one of us the answer to the question will be different. And it will be different for different phases of your life. I remember going through a 12 year phase of investing over and over in my own healing. I have spent almost $100,000 on my wellness education, yoga teacher trainings, Ayurveda school, massages, bodywork training, energy healing, acupuncture etc. and I don’t regret a penny of spending that money. It made me who I am today, happy and healthy. As far as I am concerned, health has to be invested in first. It is foundational to everything else in life. Warren Buffett, considered to be one of the greatest investors of the 20th century and arguably the richest person on the planet, was once asked by Time magazine what his BEST investment advice is. He said: “You only get one mind and one body. And it’s got to last a lifetime. Now, it’s very easy to let them ride for many years. But if you don’t take care of that mind and that body, they’ll be a wreck forty years later.” — Warren Buffett It all has to start with the body. Investing in ourselves is hard for most people. We tend to always put other people first. But that approach has pitfalls. If we feed other people first we will empty our own cup over time. This strategy will work for a while but only until our own cup is so empty. We will then try to ladle from a bottomless cup. We draw on our last resorts, our savings and ultimately burn out. Then we need a serious reset, a retreat or an extended vacation. Or, what’s worse, we simply sludge through life unhappy, energy-less, stressed out, burnt out. Our relationships suffer, our career feels like a drag, we wake up in the morning uninspired and fed up with life. Been there, done that. And it all changed when I started investing in myself. Well, to be honest at the time I didn’t know that I was investing in myself, but that is what happened. I started taking classes that developed me as a person. Yoga, yoga teacher trainings, massage training, Ayurveda courses, self development programs, detoxes and how to live a healthy lifestyle. That investment in myself paid off manifold. I would never do it any other way. The question then is, why don’t we invest in ourselves? What is the big hold up. Here are my top 3 reasons for why we don’t. That is probably the biggest argument I hear. My time is eaten up by my job, taking care of kids, a husband, a household, my elderly parents, I am superwoman and I need to take care of everyone else. I can’t afford to spend time on or with myself. Sorry to be so blunt. Let’s turn this statement around. 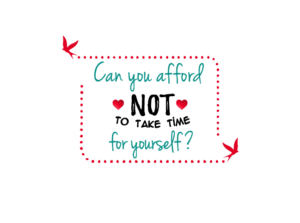 My question to you: Can you afford NOT to take time for yourself? If you don’t give to yourself who will? If you don’t fill your cup first, you will end up with an empty one and give from a place of emptiness. And how is that going to make you feel? Not exactly great. You will be more moody, snappy, distant. Arguments more easily erupt, discord will be a given. If you invest time, energy and money in yourself, you will end up giving from a place of fullness. You will benefit and everyone else will too. You will be more joyful, centered, peaceful, compassionate. and you don’t even have to try. You will just be that way. I agree with you. I also don’t have money to SPEND on myself, but I have money to INVEST in myself. Personally, I am always looking for growth, evolution and expansions in all areas of my life. Health and career are my two big focuses. And health takes priority as without it I am not as productive, efficient and balanced. Honestly, I don’t even know how people live their lives without proper self care and tools to keep them centered and peaceful. Life is rough enough, self care is the anchor and haven of safety. It may be true at first sight that all your money gets eaten up by your mortgage, your children’s college fund, food, clothes etc etc. but the question is, are prioritizing how your spend your money wisely in terms of long term investment? Where do you spend money that you could allocate otherwise. Take the simple example of Starbucks. You get your daily latte on your way to work. That’s $4.50 daily for 20 work days. That’s 90$ per month right there. You also eat out for lunch every day. That’s $15 daily and $300 monthly. By preparing simple and way cheaper meals for yourself at home you could re-allocate those dollars to something that brings you longer lasting happiness. And here is one other thing. If you make decisions based on money rather than what you truly desire you are operating on the basis of limitation vs. expansion and the universe will keep doors closed for you. If you tap into your inner most desires and invest what your soul wants you to invest in, money will flow. My question to you: What is at stake if you don’t invest money in yourself? Think relationships, career, health, promotions etc. Time and money may be big arguments but most likely they are superficial hold ups. What is really underneath? What’s at the core? 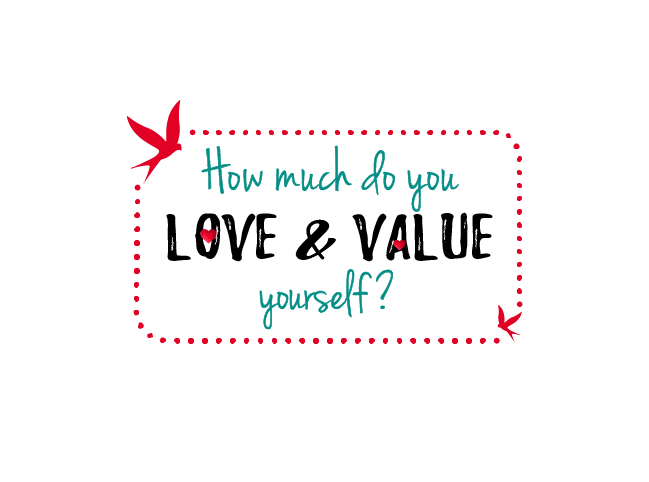 For most people it is not valuing themselves enough. Your level of self love and self worth may be at an all time low. After all, who are you to deserve so much attention? If lack of self love and worth are in the way of you growing, evolving and finding a deeper sense of happiness, it is THE BEST REASON to invest in yourself. It will tell the universe right then and there that you are done with that outdated record. It is time to write a new and better one. How to know what to invest in? 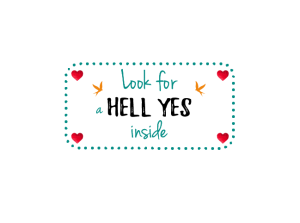 Look for a HELL YES inside. Will this get me or the next level of my evolution? This may take a bit of inquiry and a dropping into silence but most likely the next step will reveal itself. And I keep learning. My tool bag keeps expanding. When new health challenges come my way I have the mindset to investigate how to navigate them. I kept asking, I reached out to my coach, my tribe, my friends, my fellow practitioners, had a Tarot reading and finally I arrived. Getting support when unclear or in the thick of it helps TONS. Getting perspective is crucial. I invest in myself, my health and my happiness all the time. I have gathered a big tool belt by now to navigate many common health issues in life. Physical, mental, emotional and spiritual. I know how to navigate my digestive system, live my life according to the rhythms of nature so my body can heal itself. I have a yoga sequence I use for shoulder pain, back issue or whatever else arises. I know what practitioner to see for what ailment. If you want support with your inquiry, I am here to help. Apply for a free Wellness Discovery Session. We will talk about what’s up for you, where you want to go and what might get you there. If I can help you on your journey we will talk about that too. If not, I might have other resources to send you to. Yes I am ready. Let’s chat!